This habit forming lip mint in a refreshing Sorbetty pink, will have your lips looking gorgeous in an instant and keep fresh all day and all night! 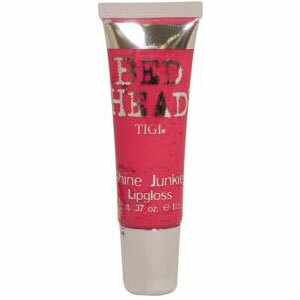 This TIGI Bed Head Shine Junkie Lip Gloss feeeels lubricious! Overdose on some heavy shine and get addicted to this moisturising, non-sticky & utterly tasty-looking TIGI Bed Head Shine Junkie Lip Gloss in Sorbet.